Lynn Jurich discusses the difficult early years of Sunrun. This week on Watt It Takes: How Sunrun CEO Lynn Jurich convinced homeowners and banks to invest millions into third-party rooftop solar during the Great Recession. Sunrun was a pioneer in residential solar services. Unlike some of its fallen brethren pushing the national model, Sunrun grew at a much more sustainable clip. Today, the company is at the top of its game. Sunrun installed 100 megawatts of residential solar last quarter. It will likely install 5,000 residential batteries. It’s now partnering with utilities on using those batteries and rooftop systems as a virtual power plant. 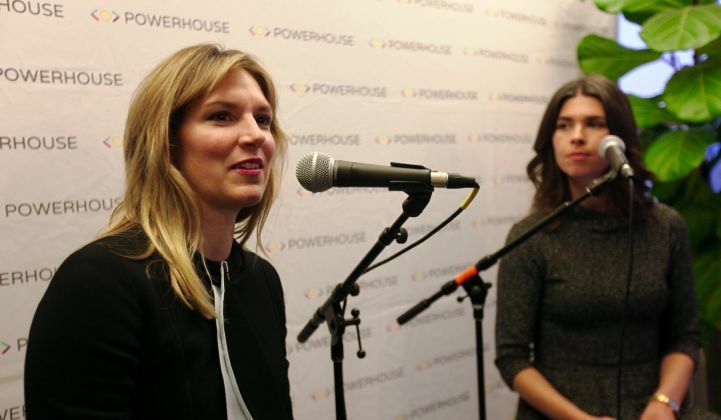 In this edition of Watt It Takes, Powerhouse CEO Emily Kirsch talks with Jurich about how she went from begging homeowners to go solar at county fairs to signing up hundreds of thousands of customers. This podcast is brought to you by GE's Reservoir, a modular lithium-ion energy storage system that can slash construction costs by 50 percent. Find out more about what Reservoir can do for your electric grid, solar plant, wind farm, microgrid, or thermal power plant. We’re giving listeners major discounts this fall. Use the promo code PODCAST to get a $50 discount for a GTM Squared membership and 20% off our final GTM conferences of the season. Get your GTM conference discount here. Get your GTM Squared discounted membership here.